My next read is Julia's book as well that I got as a present. I'm looking forward to the read. can't wait to hear how the SK book is- you will LOVE JC's book. LOVE! You are going to love love both of them! I need to mix a little lighter happier read into my up and comers! My holiday break reads, which I will chare soon, were all so wonderful, but mostly sad! 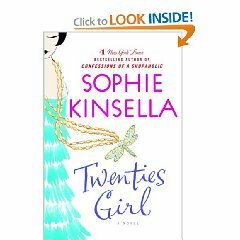 I read Twenties Girl and loved it. So cute and fun to read! Love her confessions series! And I enjoyed Julie and Julia so would most likely enjoy Julia's book and her point of view. 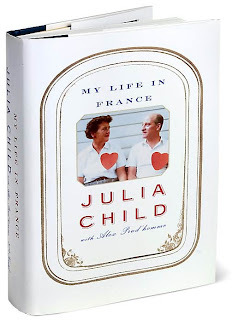 That Julia Childs book is on my list too. I also want to read "The Help"
LOVE Miss Julia! She is uber-popular again because of the Julie&Julia movie, I hope it wins a Golden Globe of some kind tonight! Fingers crossed!